Artist and photographer Marie-Jeanne Musiol was born Switzerland and currently lives and works in Quebec. 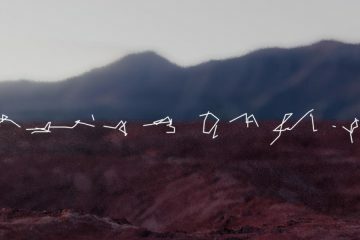 Marie-Jeanne Musiol’s photo installations have evolved from archaeological itineraries to actual journeys that explore the nature of energy. 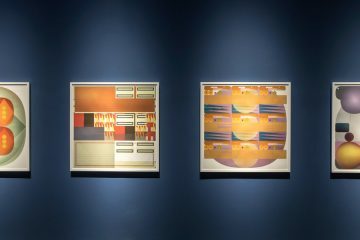 The body of her work investigates the kaleidoscopic nature of bioenergetic fields. 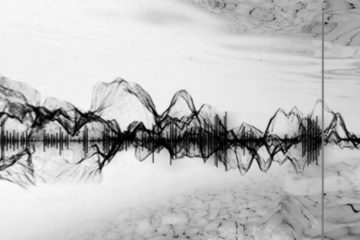 Through electromagnetic photography Marie-Jeanne records the aura that surrounds biological bodies and portrays the manifold varieties of live and intelligent vibrations and frequencies. 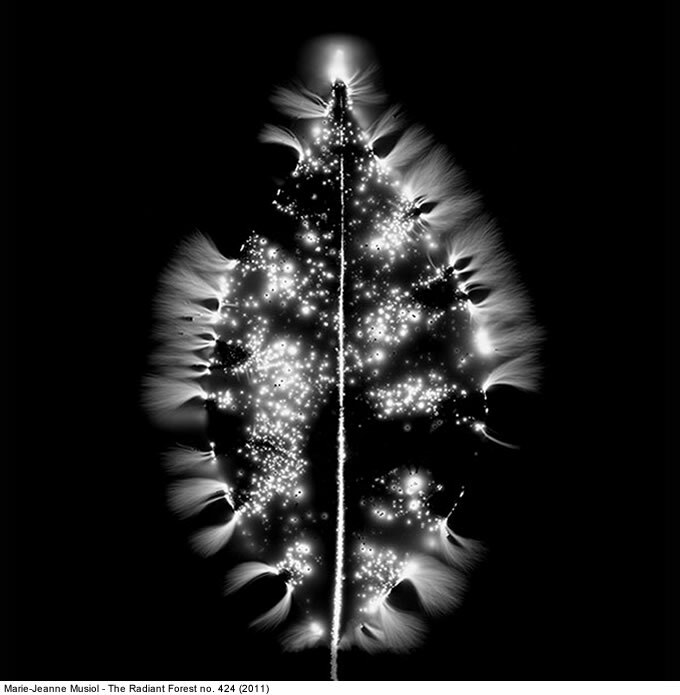 Her latest works of electrophotography explore the significance of magnetic fields as carriers of information and metaphor of the cosmos wrapped in the light corona of the plants. 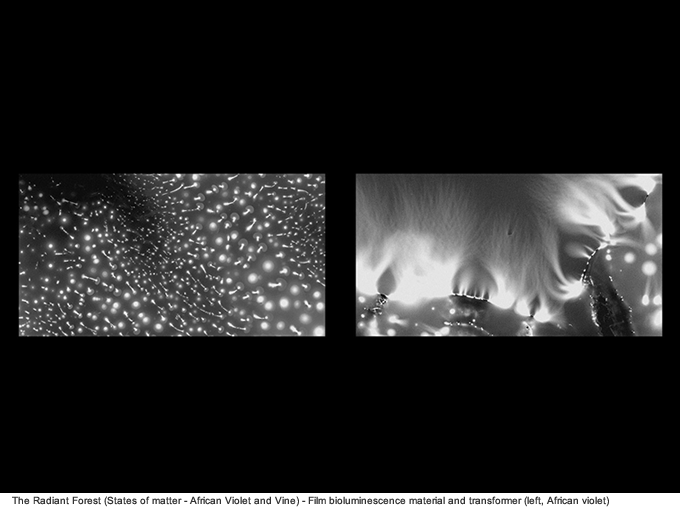 In addition to her electromagnetic photographs, representative is the video Bodies of Light. Fields of Light. States (2000) that registers various aspects of electromagnetic fields around plants, and the award winning book Bodies of Light (2001) that presents recordings of energy emissions around biological bodies. Together with electromagnetic experiences Marie-Jeanne is tracking a photographic reflection in Auschwitz. In the 1990s she has undertaken a journey to the camp in order to capture the emblematic images of live memory inhabiting the site. 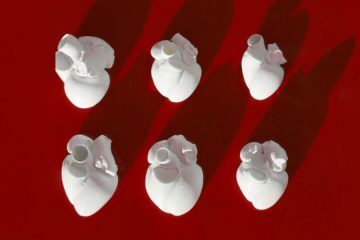 Marie-Jeanne Musiol’s photo installations have been shown worldwide. She has exhibited in galleries, museums, outdoor spaces, and in several multimedia events, such as the Montreal Botanical Garden (2005), ZKM (Karlsruhe, 2005), MediaLab (Madrid, 2006), Maison Européenne de la Photographie (Paris, 2006), Ludwig Museum (Budapest, 2006), Musée de Rimouski (2008), Ricx (Riga, 2008), The Ottawa Art Gallery (2010), Canadian Museum of Nature (Ottawa, 2011), Taipei (2012). She is represented in several public, corporate and private collections (the Musée National des Beaux-Arts du Québec, the Canadian Museum of Contemporary Photography, the National Library of France, the Houston Museum of Fine Arts, the Art Bank of Canada, McGill University, the Ottawa Art Gallery, the National Bank of Canada and Hydro-Quebec). 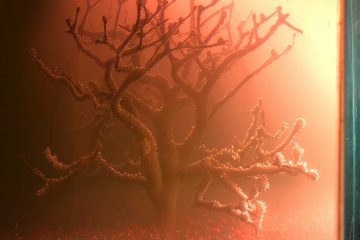 Donata Marletta: One of the techniques you are using for your photo series such asThe Radiant Forest,The Burning Bush, andMirrors of the Cosmosis electromagnetic photography. Could you give our readers an overview of how this process works? Marie-Jeanne Musiol: Electromagnetic photography has evolved in parallel with the discovery of electricity and its corollary, magnetism. Many are familiar with Kirlian photography, the “aura” capture pursued by Semyon and Valentina Kirlian in the USSR of the 30’s and introduced to the West in the 70’s. The process consists in placing a biological body on light-sensitive material such as negative film or photo paper and inducing a high-voltage electromagnetic field with a machine regulating a few parameters (timing, frequency, polarity). 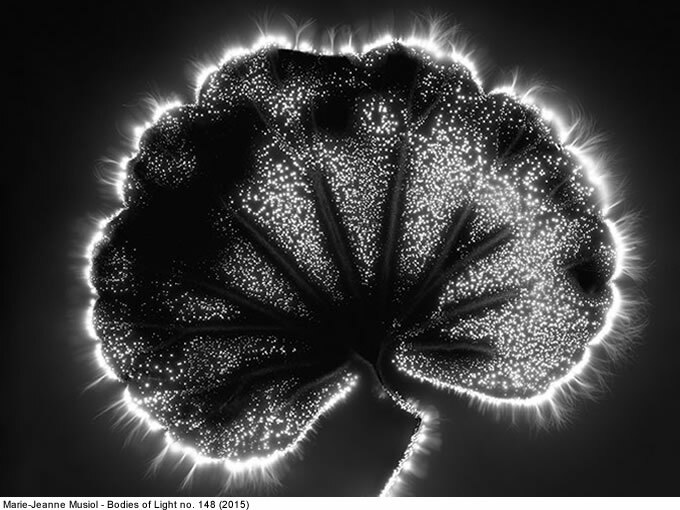 The resulting image is basically a photogram, a direct contact print of the light corona expressed by the object or plant and indicative of its overall state. I have photographed hundreds of these emissions. What is unique with EM photography – I like to call it energy photography – is its potential to carry on a conversation with the living world. 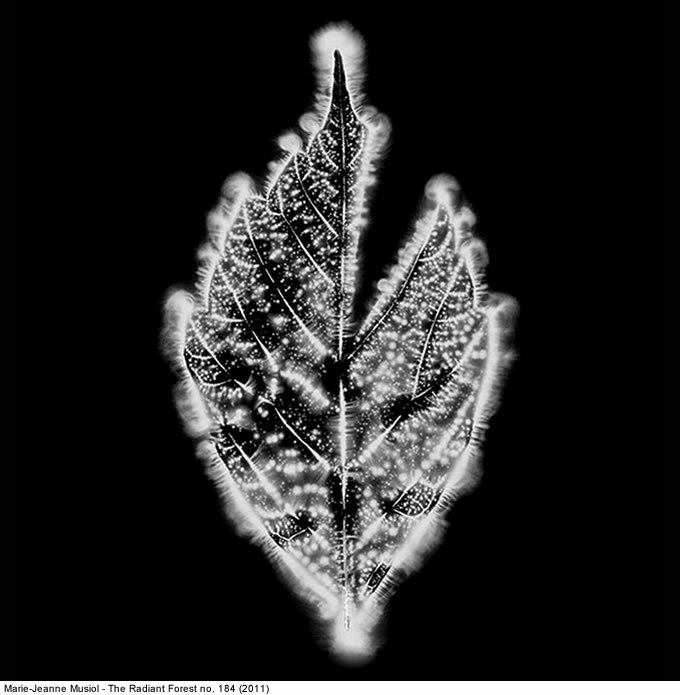 The plants I interact with send back luminous images of exchanges happening within the second. For instance, plants will respond to both cutting and restoration. The visible effects of tearing or lacerations bring out characteristic dark spots on the leaves that can be reversed if you magnetize them, put your hands over or think intently about reparation even without touching their surface. Initially, I came to this work from a purely experiential approach. But over time, the experiments have opened up and led to new considerations of all kinds. The photons cascading onto the film and creating an image are emblematic of the web of light penetrating everything and sustaining intricate networks of information exchange at all levels. Bioluminescence, frequencies, transfers of all kinds between various dimensions and scales of the universe have become my centre of interest. 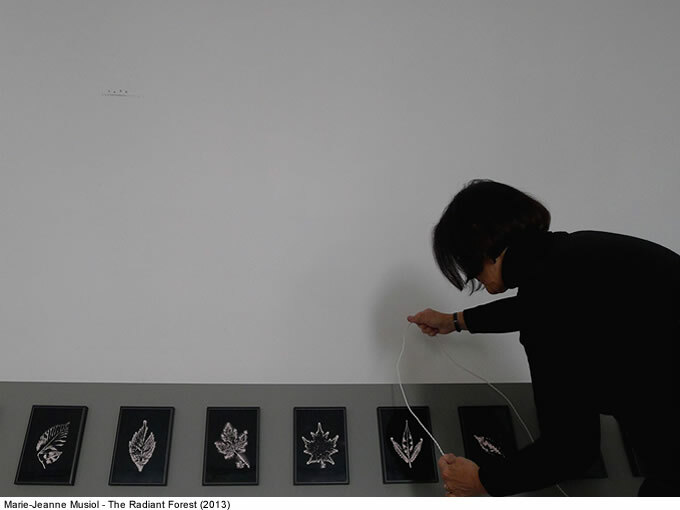 I extract mirror images of the cosmos using a digital tool pointed at the scanned films of luminous plants. In minute areas of the leaf, we are catapulted into the equivalent of cosmic panoramas: the very big enfolded in the very small. The mathematical notion of fractals comes to mind but I envision this back-and-forth between stars and plant details as a holographic manifestation: the whole picture simultaneously contained in all of its fragments. Donata Marletta: Do you usually shoot in studio or in situ? What setting suits you most, and why? Marie-Jeanne Musiol: I am studio-bound by virtue of the traditional photographic process requiring total darkness for film exposure. But I am also working out of a garden with many plants and trees and this layout fosters a close relationship with natural surroundings in all seasons, allowing me to feel the heat, the humidity, the conditions of the atmosphere and the ground. I hope that the more recent apparatus I acquired and supporting real-time video capture of plants will open up possibilities beyond the self-contained world of my working cabinet. Donata Marletta: In your artworks you investigate the relationship between nature and human beings. What’s the “magic” in it? Will you explore in the future other types of species and interconnections? Marie-Jeanne Musiol: Our collective fascination with nature seems to be proportional to its imminent demise. Unless we rediscover channels to relate, revere and contemplate nature, we are headed for upheavals. Entering the plant world requires attentiveness to minute messages conveyed in a specific language. 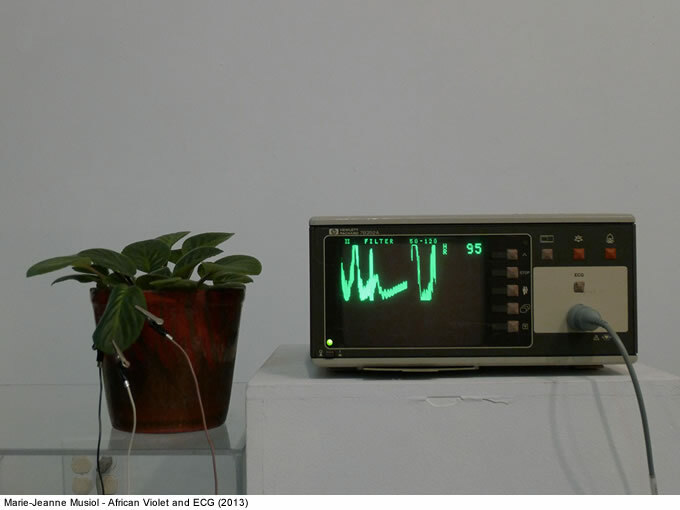 I concentrate on the visuals of plant captures with electromagnetic photography because they are much more interesting than, say, standard images of human fingers that mostly address the reality of biofeedback – informative but not artistically meaningful. Because of the limitations of film and plate size as well as voltage requirements to elicit a response from the subject, EM photography cannot yield whole body images for humans or even animals. But the sheer extent of the plant world (500,000 of them!) guarantees that the modest “energy herbarium” I am constituting with Bodies of Light and The Radiant Forest will never be exhaustive, only indicative of a possible “energy botany”. We obsessively probe the inside of things with sophisticated imaging technologies. But the real revolution will occur when we begin to see relationships in action and what truly emanates from all living entities, from our bodies and most importantly from our thoughts. It will radically alter how we perceive cause and effect. It will usher fundamental changes in our understandings of “evidence-based” science, agency, autonomy, and responsibility. Frequencies explored by quantum physics already express many strange properties of the world we live in. But until we see these frequencies in action zapping about, our perceptions will continue to be defined by the apparent materiality of things as solid entities. My challenge is to create images showing the reality of light and frequencies that our motherboard brain vibrates into form, colour, and objects. Donata Marletta: How would you translate the metaphor of the power of nature into the everyday world? According to your experience what do plants teach to human beings? Marie-Jeanne Musiol: Nature’s footprint is receding and massive species extinction is our new horizon. Much in the same way that languages are not simply vehicles for communication but symbolic lenses through which we see the world, so do plants carry streaks of evolution and energy patterns with specific information necessary to the global balancing act. Plants teach us to hear the symphony and we need each one of them. Philosophical debate on the status of plants erroneously thought to have no nervous system is opening up ethical questions about different species from ours and cannot be ignored anymore. The bodies of light in my work owe both to Goethe and Daniel Bohm’s visions of nature. The poet-scientist Goethe imagines the living as an active principle in constant metamorphosis and the leaf on the stem of the plant as the archetypal growth potential. Physicist Daniel Bohm reinterprets the persisting intuition that fluid states of matter unfold with increasing levels of complexity through several quantum dimensions in a holographic universe. Donata Marletta: The light/darkness dichotomy seems to be a common thread in your artistic production. Is it a purely aesthetic choice or is there a deeper layer of interpretation? Marie-Jeanne Musiol: I definitely try to express the tension between the two extreme states of light and darkness. A fundamental of photography, this polarization resonates with me because it brings out the essentialist nature of images. Electromagnetic photography using colour film is a riot of beautiful rainbow-like emanations: violet, blue, red, pink, orange. 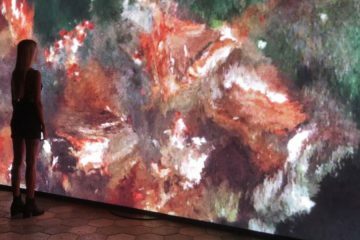 The beauty can however seduce and sidetrack the viewer with its purely visual effects detracting from the profound nature of light and its implications. 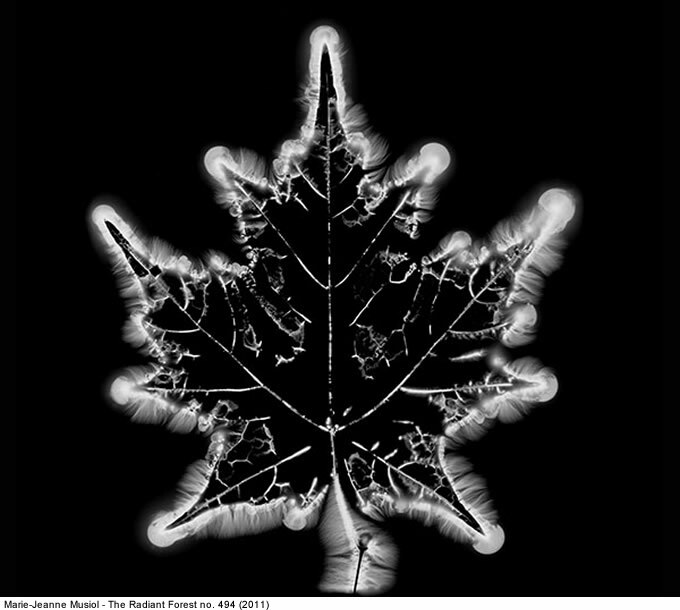 For the same reason, I also keep a one-to-one ratio when printing the energy images of plants. The scale of the relationship between a person and a leaf cannot be expressed in spectacular enlargements. Donata Marletta: In The Shadow of the Forest (Auschwitz-Birkenaw) series you have undertaken a journey to the concentration camp, photographing the trees growing out of the ashes. Could you tell us more about your experience in such a symbolic place like Auschwitz? Marie-Jeanne Musiol: I began walking Auschwitz in the early 90’s soon after the liberalization of Poland because of personal connections. Photographing proved inadequate in many ways to translate the resonance of this site that most visitors feel acutely. At this point, I resolved to seek out a means of expression that would not only transpose my experience of Auschwitz metaphorically into photographs but could actually imprint vibrations onto an image. Although energy photography is that process, I can’t use it in Auschwitz because of technical limitations linked to transportation of the machine, etc. But it has opened up for me the reality of light fields surrounding all bodies and the centrality of light in the transmission of memory. It is an unlikely development in such a desolate space. I continue to find new metaphorical representations in the camp like the latrine pits, that I photographed recently to express the cosmic dark holes of malevolence that sucked up individuals, nearly finishing off western civilization. For me however, light remains the fundamental highway of the universe.